We all do online shopping. But until now, I never tried to purchase beauty products online. 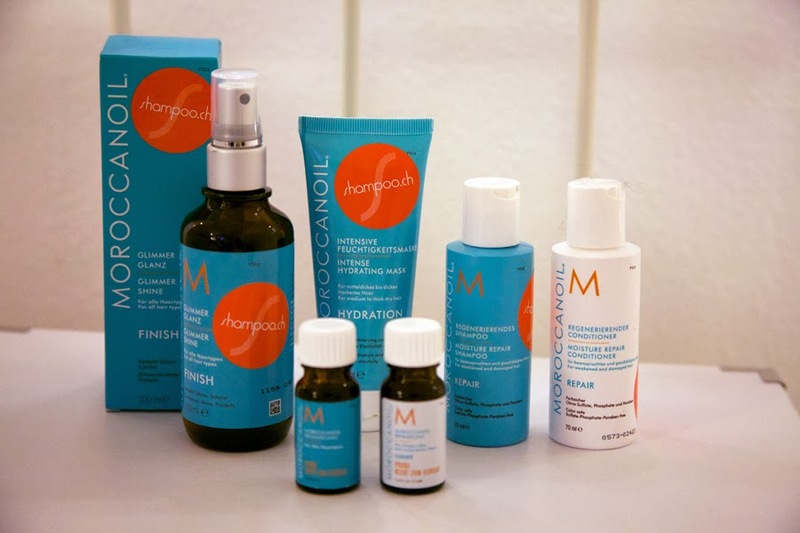 In Switzerland, there is a new platform, called shampoo.ch. You can discover many well known brands like KMS California, Nashi, L'Oréal, Paul Mitchell, Kérastase Paris, Redken. You can inform yourself about your type of hair, and you get immediately the right products recommended. So you get some advice online, what I really appreciate. I like the concept, you don't pay for shipping, and the products arrive at you home very fast. (And you don't have to carry heavy shampoo bottles around you all day and ran to a specialist to get your preferred haircare. I by myself tried out the Maroccan Oil Set. Especially when its cold outside, my hair needs an extra treatment. It came in a cute little travel kit.